Vivamus sagittis lacus vel augue laoreet rutrum faucibus dolor auctor. Integer posuere erat a ante venenatis dapibus posuere velit aliquet. Donec id elit non mi porta gravida at eget metus. Vestibulum id ligula porta felis euismod semper. Please remember, Millennium Bank will never ask you to update account information online. If you receive an e-mail requesting personal information you SHOULD NOT reply or click on any link – even if it looks legitimate. We will help you achieve your financial goals at any stage of life. Whether you are opening a kids savings account or seeking your first mortgage loan, our friendly bankers can help you find the solution you need. Whatever your business requires, Millennium Bank can help. With our full suite of business credit and lending options, our experienced bankers are dedicated to finding the right programs to help keep your company successful for the long run. Coming soon! Make planning a little easier with a tool that locates the nearest ATM closest to you. 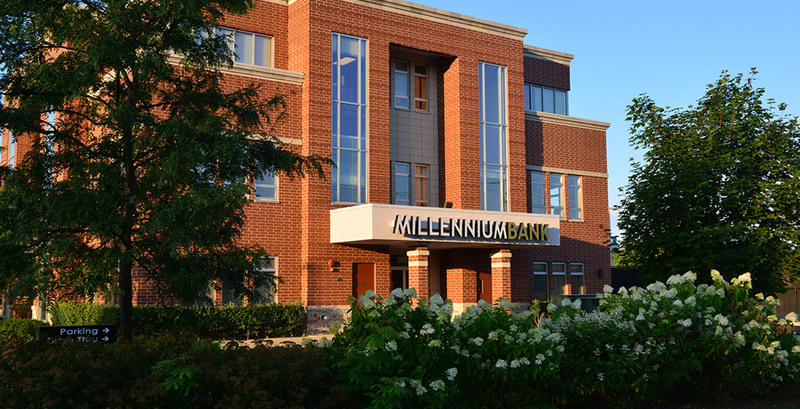 With years of banking and financial experience at your disposal, you can have the peace of mind and confidence that Millennium Bank is taking care of your personal or business banking needs.